Your families enter their contact and payment info themselves, and you dont need to keep it up to date in multiple spreadsheets, rosters etc. 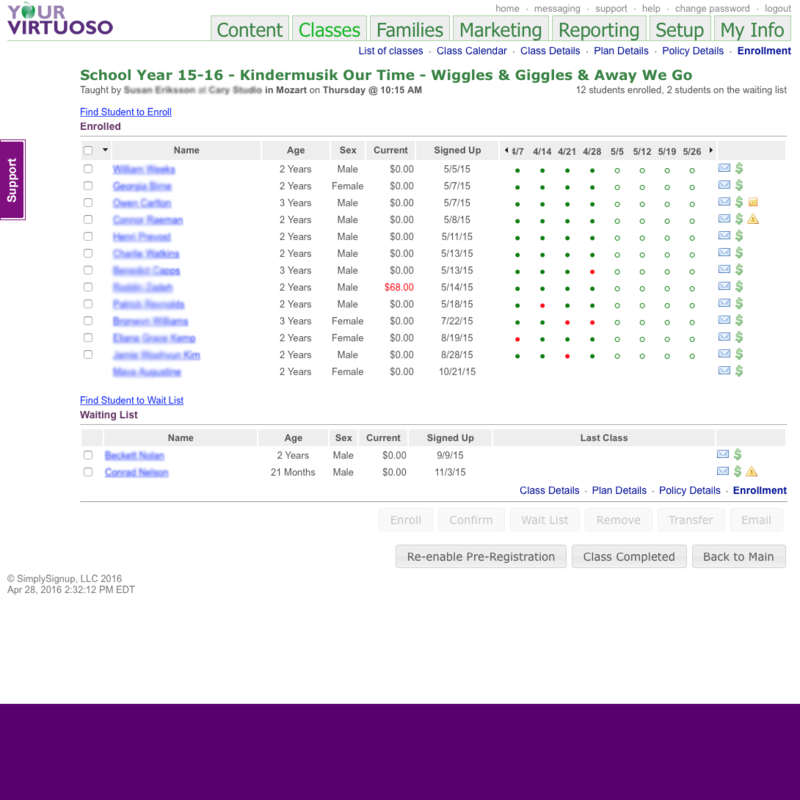 Online Presence, More enrollments, Lower admin $ - Done! Effective, modern, mobile-friendly website options sell your classes. Targeted marketing emails are a snap. Everyone who interacts with your webssite becomes a tracked prospect. 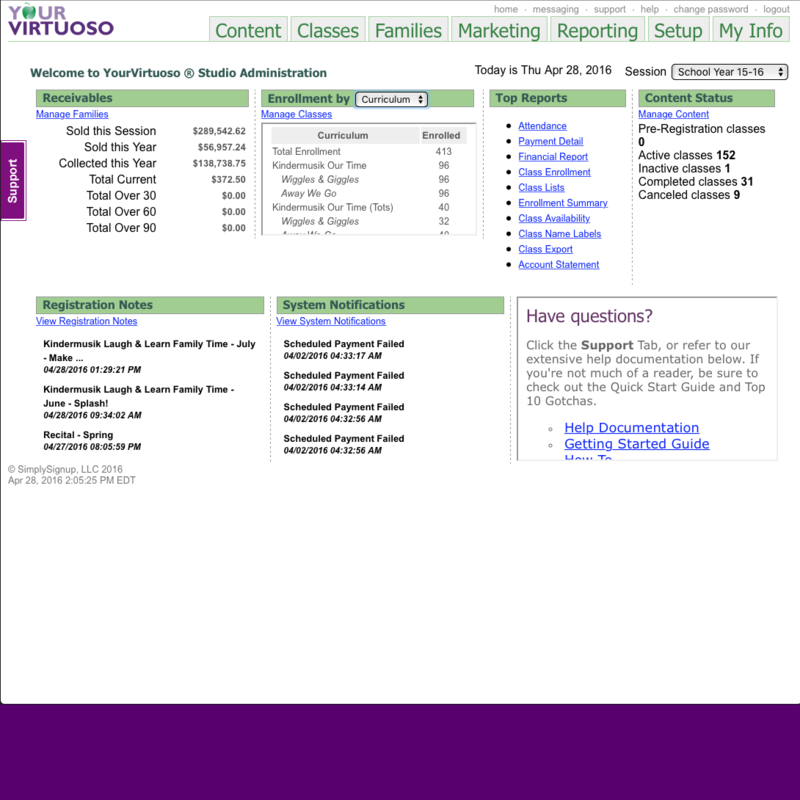 How will YourVirtuoso help me? We'd like to show you a case study tailored to you and your studio. When it comes down to it, the more kids' lives you can enrich with the arts, the happier we will be. So until we have helped you grow your business to the level it needs credit card processing, phone support and an ad-free online presence, we are happy to help - for free - for as long as you want. Eventually, of course, we hope you will upgrade to our "Pro" service. We do have bills to pay too! 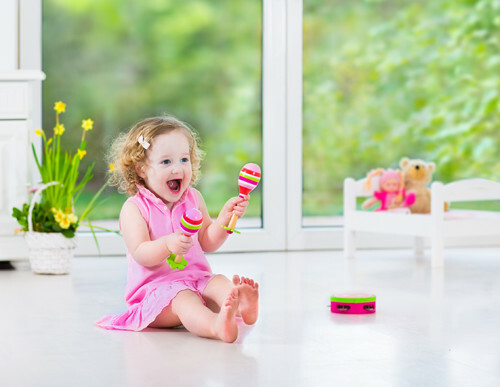 The YourVirtuoso service was designed by SimplySignup LLC and for the last 10 years has supported 100's of enrichment centers including Kindermusik™ studios, Music Together© centers and independent music schools in the US, Canada and Australia. 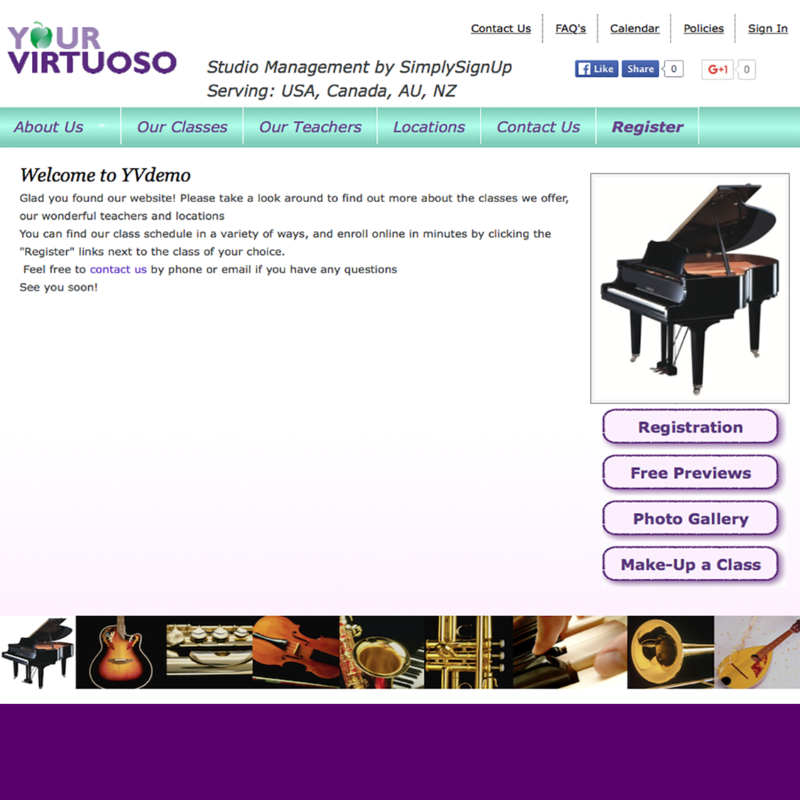 The latest upgrades to YourVirtuoso have made it the best choice for any studio or school - independent, or licensed. Color coded and filterable by teacher, location or curriculum. The school week at a glance! Customizeable with your own logo, images & text, and mobile responsive. Just want to give it a try? 2 Options - Nothing to Lose!